The suspended trustees of a development charity under investigation by the Charity Commission have said they will appeal against their suspensions after the appointment of an interim manager by the regulator. Last week, the Charity Commission said it had suspended the charity’s two trustees, David Swettenham and Helen King, on 2 January and appointed Geoff Carton-Kelly of FRP Advisory as interim manager. Carton-Kelly would take over the day-to-day management and administration of the charity, the commission said, and would work on a pro-bono basis. Swettenham told Third Sector that the trustees were very likely to appeal the Charity Commission’s decision to suspend the trustees from their roles at the charity. A campaign website has also been launched to highlight examples of the commission’s handling of the case. The trustees have already appealed against some Charity Commission rulings at the charity tribunal. Last year, the trustees lost a tribunal appeal against the commission’s decision to freeze the charity’s bank accounts. The trustees had told the tribunal that the charity could close unless restrictions on its bank accounts were lifted by the regulator. An application to challenge the opening of the inquiry into the charity was rejected by the tribunal last month because of the amount of time that had passed between the opening of the inquiry and the submission of the application to appeal. 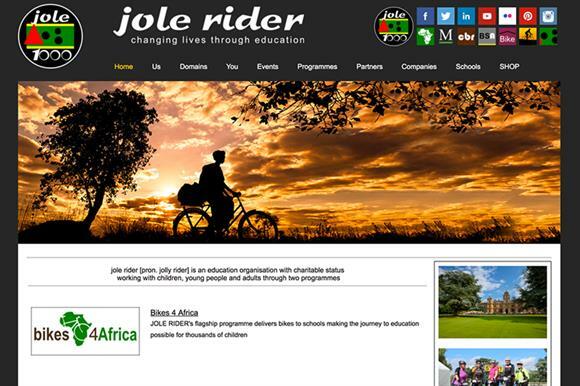 A spokeswoman for the Charity Commission said: "We have not received notification of an appeal against our decision to appoint an interim manager or to suspend the trustees of Jole Rider Friends. "We will await any information and will cooperate with any further legal proceedings brought in relation to this charity as normal."